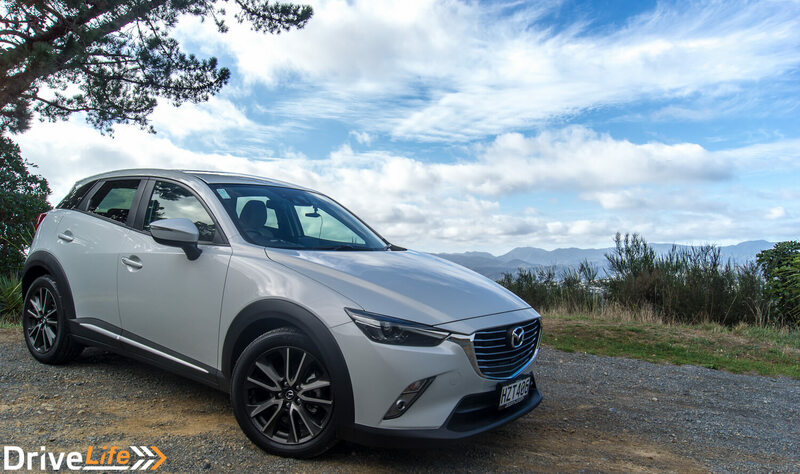 Mazda CX-3 Limited – Car Review – Metallic Ceramic ? 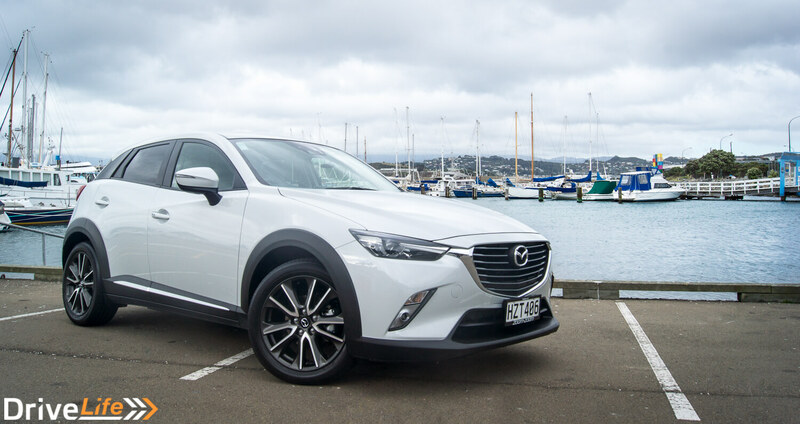 The Mazda CX-3 range is a new car class for Mazda to break into. 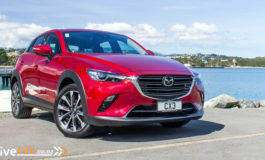 They first unveiled a Mazda CX-3 Racing Concept at the 2015 Tokyo Auto Salon with a sports front lip and roof spoilers, side skirts, coloured accents and larger 17-inch wheels and tyres. The concept also rides on an adjustable suspension, and has a racing air intake kit and a sports muffler. 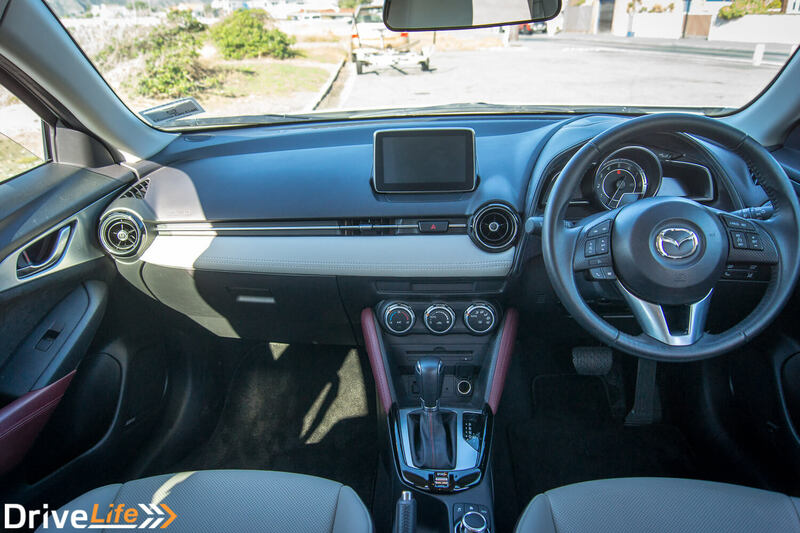 Roll onto 2016 and we have been given the CX-3 in an array of different engines gearboxes and a choice between FWD and AWD. It is nice to see however that they have not gone wildly away from the original concept in regards to styling. The wheels aren’t as big and the front lip is a lot smaller but apart from that it basically looks like what they released at the Auto Salon. Let’s take a minute to talk about the colour. When I first saw it it was in really bright sunshine and I thought it was white. And I thought it did not look too bad in white, I have fondness for white cars but will admit it also does not always work. If I am honest I was hoping for the car to be in Mazda’s signature soul red, a great colour. When I got back to work after picking up the car it had become overcast and as I got out of the car and was walking away I had to do a double take, now it was in some shade it was no longer white it was almost a dirty or off white colour. I looked at the key tag to see what the official colour was, “metallic ceramic”. I had no idea what that meant and was trying to mix a matte white and shiny silver in my head, and it was not working out. The colour then changed again when I got out of work and it was dark, it was now grey, I would have said it was nearly flat grey. The colour was always changing but I could never fully make my mind up if I liked it or not. I tried my best to capture the different colours in the photos so you can decide for yourself. When I got in the car I was a bit taken aback by it. There was a wide array of colours and textures inside. It started with white leather seats with a black alcantara-like fabric inserts and red piping. The door cards were red leather with black plastic and a carbon fibre-look wrap around the door controls. The dash was white leather with red piping and more of the carbon wrap, the centre column was black plastic and red leather and finally the steering wheel was black leather and more carbon wrap. It was a sight to take in but was also not completely gaudy, it sort of works but was definitely not my taste. In the centre of the dash was the infotainment touch screen system. The screen was a good size at 7 inch, not too big to feel out of place but not too small that the screen was unusable. It had all the features you needed; phone, radio, nav. I did however find it very odd to have the main volume control knob in the center column down near the back so you almost had to reach back to get it. 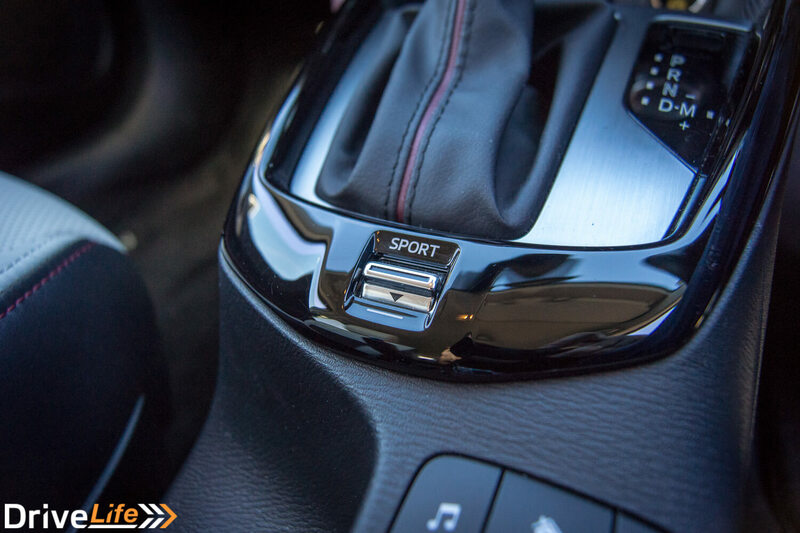 There is still the volume control on the steering wheel but it does not have the ability to mute – only to raise and lower the volume. The cabin however felt really small, I know I am a large guy but that was not it. I could fit in comfortably and I could get 3 other adults in the car too although the person behind me would not have very much leg room at all. The problem was the back windows of the car, firstly they were not very big as the window line of the car swoops up towards the back making them smaller but they were also tinted so they were letting even less light in and it all just made for a dark and cramped feeling cabin, almost a little claustrophobic. Another thing I felt was lacking the CX-3 was storage. It is a small car but the boot floor was very high to accommodate a spare tire but there really was not that much more room left than enough for the weekly shop and don’t even think about having a stroller. Even in the main cabin there was not a lot of storage with the usual door cubbies and glove box but again both were smaller than normal. When you turn the car on above the instrument cluster a small piece of clear plastic raises from laying flush against the dash to being vertical. This is your HUD and brings almost a little bit of a fighter jet feel to it but I felt for the taller individual like myself it was not brilliant. I much prefer it when HUDs are projected straight onto the windscreen as it’s usually a bit further out and a bit higher up the windscreen therefore being more in line with the driver. I prefer HUDs that are just below your normal field of view when driving so you really only need to change your focus point to see the speed and then back to looking in front. 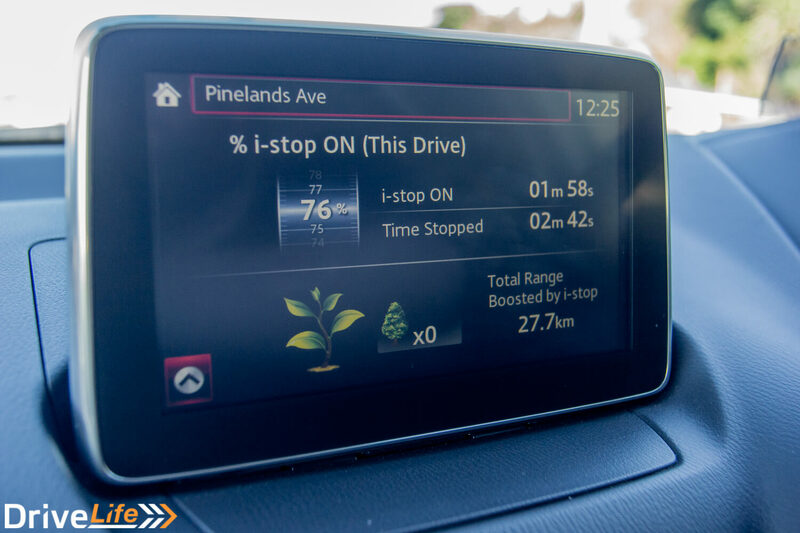 With the way that mazda have done it I find that I am looking down a lot further to see the speed almost to the point that it is the same as looking at the instrument cluster. But I do feel that this is due to being a taller driver and someone a bit shorter would probably find it better. 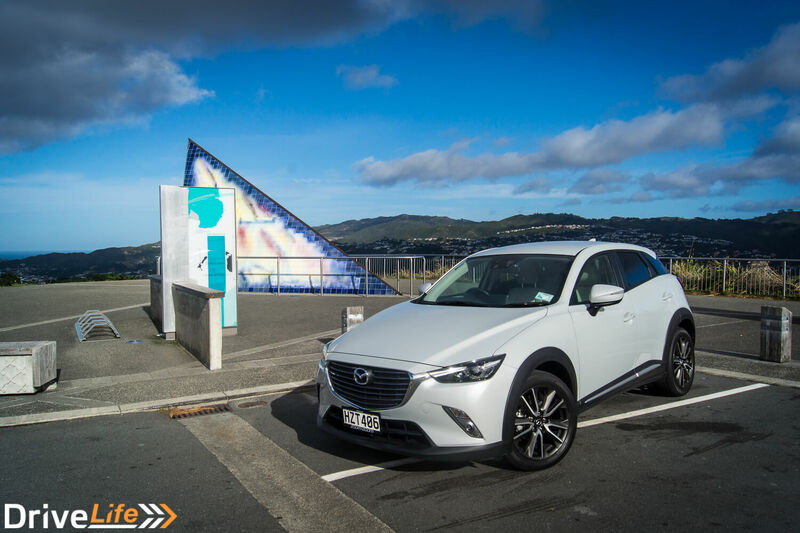 The CX-3 itself drives pretty well, although higher off the ground I did not feel like I was in the sky or as if I was in a boat going around corners. It was very nimble in and around town where I see it being its primary home for most customers. 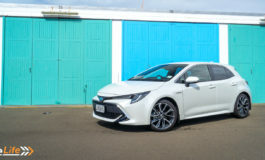 I did find however that once again the small back doors were being a hindrance and reduced your vision out the rear of the car which was not very big to begin with as the window on the rear door is fairly narrow. All that combined made for a large blind spot on either side of the car to watch out for. In regards to power this feels like the little engine that could. It is not very small being a 2L engine but it always sounded like it was doing more work that it need to be. Maybe I am a little heavier footed than most but I really did not feel like I was pushing the engine but would think it was revving high and then look at the tachometer to see it was not really that high. Just something to get used to as all cars sound different at the same revs. Heads up display Felt cramped and enclosed. The CX-3 was a bit of a strange car with almost a inverted tardis feel too it, felt smaller on the inside than it looked on the outside. 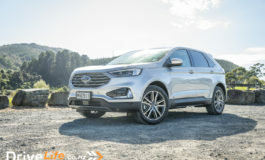 I would say it is a good car for people that would primarily be just traveling with themselves and someone else (partner) the majority of the time, the rear seats would not be good for a long trip. 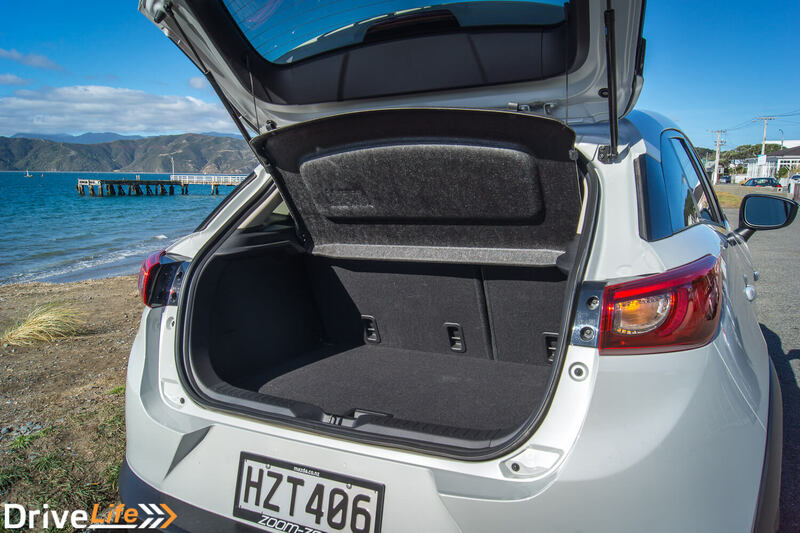 It would also give you the added benefit of being able to lower the rear seats to give yourself more room in the boot if you needed to transport any larger items. It is a small run around car – almost like a hatch with a lift kit. Previous article Enjoy The Sounds of The New Audi RS3 ! !